Does your establishment require a crowd manager? The Florida Fire Prevention Code requires that all places of assembly, including tented events, must have at least (1) crowd manager or crowd manager supervisor. An Assembly occupancy as per the fire code is where there is a gathering of 50 or more persons for deliberation, worship, entertainment, eating, drinking, amusement, awaiting transportation or similar uses or used as a special amusement building. Where occupant loads exceed 250, additional crowd managers/supervisors may be required at the ratio of 1 crowd manager/supervisor for every 250 occupants (NFPA 101, Section 12.7.6). Examples of such assemblies include Exhibit Halls, Meeting Halls, Lodges, Conference Rooms, Theaters, Restaurants, Bars, Night Clubs, Golf Club Houses, Tents, Bingo Halls and Air Supported Structures. What is the purpose of a crowd manager? Crowd managers ensure that everyone entering an establishment stays safe! Crowd managers control groups of people at clubs, conventions, and other gatherings, and ensure that facilities are equipped to handle such crowds. Crowd Managers verify that life safety equipment is in service and ready to act if needed, including fire alarms, fire sprinklers, fire extinguishers, emergency lighting and exit signage. The cost to participate in the Crowd Manager Class is $30.00 per person, and the certification is valid for three (3) years. 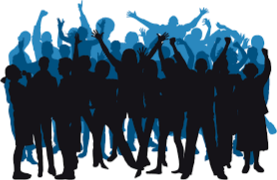 When and where are the next Crowd Manager Certification Classes?